Online puzzle fiends are struggling to crack a "secret" cryptogram included in the newly-formed US military cyber command's official seal. Most of the confusion arises from an extra hyphen in the Command official mission statement. What's a good way of symbolising codes 'n' stuff, Larry? 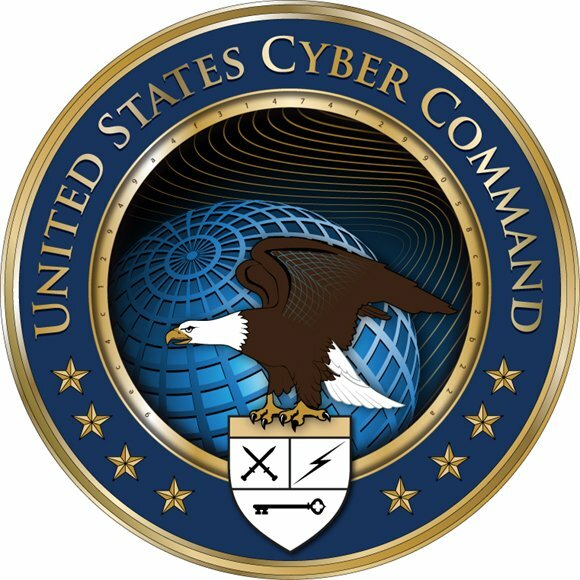 As can be seen in the image above, the Cyber Command seal's inner golden ring has the legend 9ec4c12949a4f31474f299058ce2b22a inscribed on it. This has been discussed online for some time, but Wired was the first media channel to notice it this week. The mag's online defence blog is offering a free T-shirt or a ticket to the International Spy Museum to the first person to crack the "code". Provided that this is entered correctly into a hash generator, the Cyber Command seal string is produced. That appears to be all there is to it - a reasonably technically literate effort in the context of US military heraldry, but scarcely much of a puzzle. Some confusion has been caused by the fact that US Strategic Command, in charge of USCYBERCOM, offers a slightly altered mission statement - with a superfluous hyphen in "full spectrum".